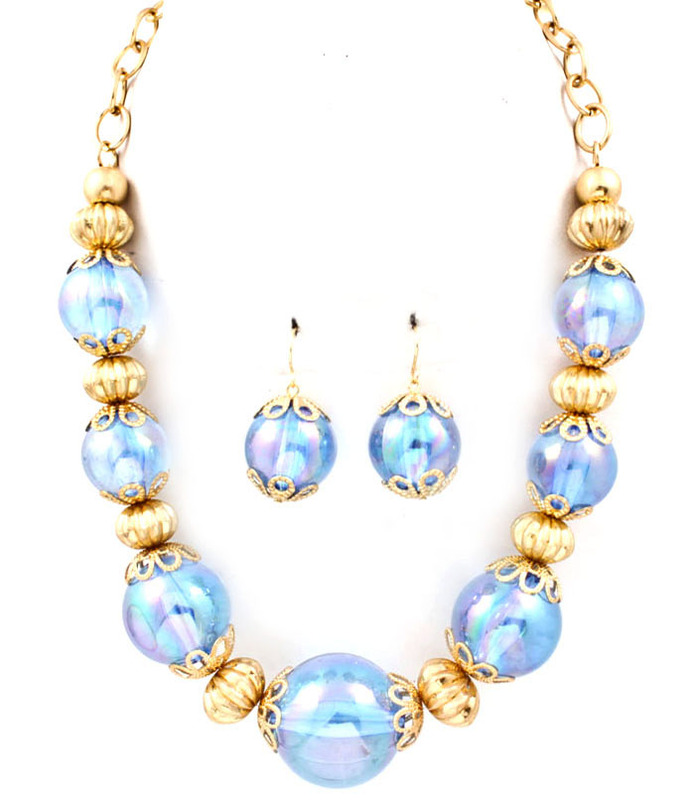 Crafted from a combination of celestial blue marbles and gold tone beads with exquisite embellishment, Cate necklace set looks fabulous and airy. The earrings feature one pending marble each with gold trimming. Great value, high quality and popularity all combine to make this necklace a 'must have' item!